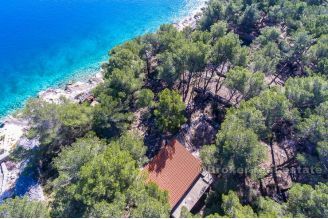 This is a very attractive land in building zone of 1 100 sq m, first row to the sea, situated in a center of a most charming small place on the north of island Brac. There is a project made for a unique villa with a swimming pool. This place of exceptional beauty exudes an almost aristocratic serenity, which is evidenced by the mansion built in the 16th century. 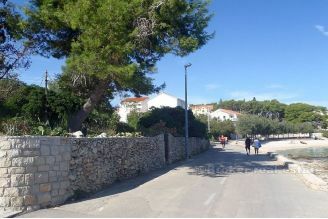 Splitska is the ideal destination for those fond of walks in the nature. The town features three restaurants, a caffe and a store, as well as a Tourist office open during the season. BRAC is enchanted by the crickets´chirps, soaked in the sun and the scent of Mediterranean pines, sage and rosemary, the island of Brac seems like a biggreen boat rocking on the waves of the Adriatic Sea,facing Split, the largest city in Dalmatia.